An urban design with thick arms and Locs emblem on sides. 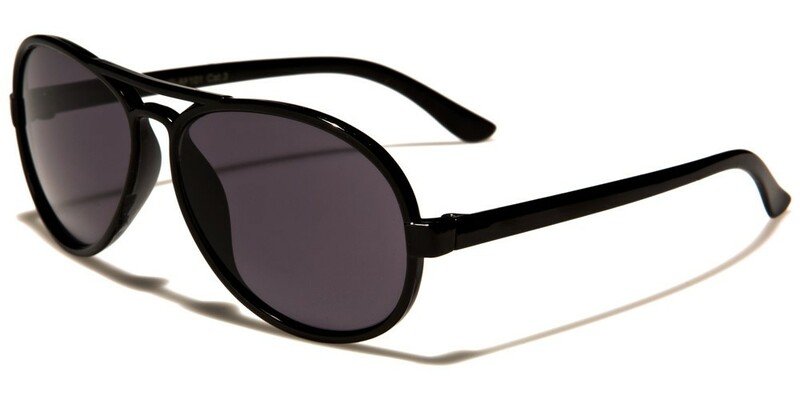 Provides UV400 protection and are sold wholesale by the dozen. Cool biker style CHILDRENS SUNGLASSES featuring an edgy Locs emblem on the sides & dark overall look with UV shaded lenses. "These CHILDRENS SUNGLASSES feature a checkered design on thick stems, Locs emblem in silver lettering & shaded full lenses for UV protection." 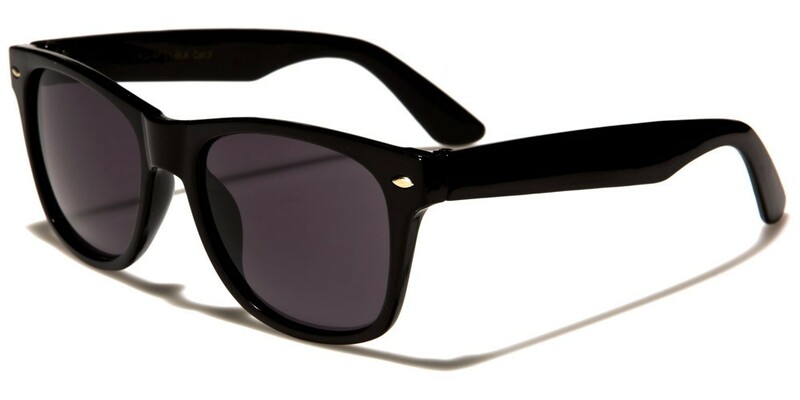 This item comes with 300 pairs of assorted CHILDRENS SUNGLASSES and a display. 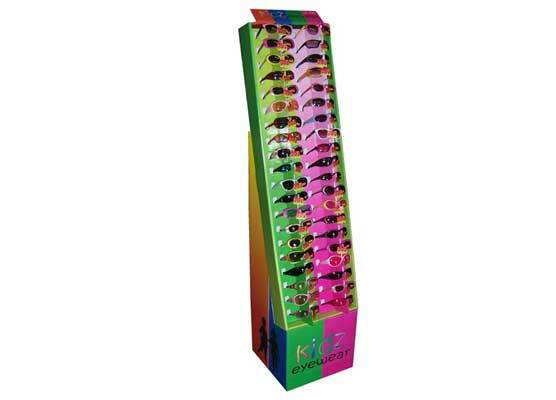 The display can hold 40 pairs of SUNGLASSES and contains a storage area for additional SUNGLASSES. 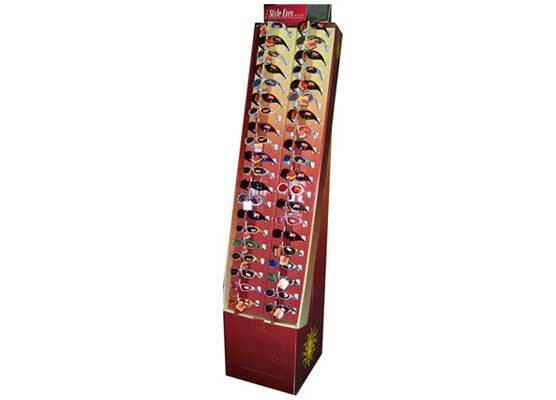 Display comes with 300 pieces of assorted CHILDRENS SUNGLASSES. The display has a storage with the door on the bottom of display, where you can store additional glasses. 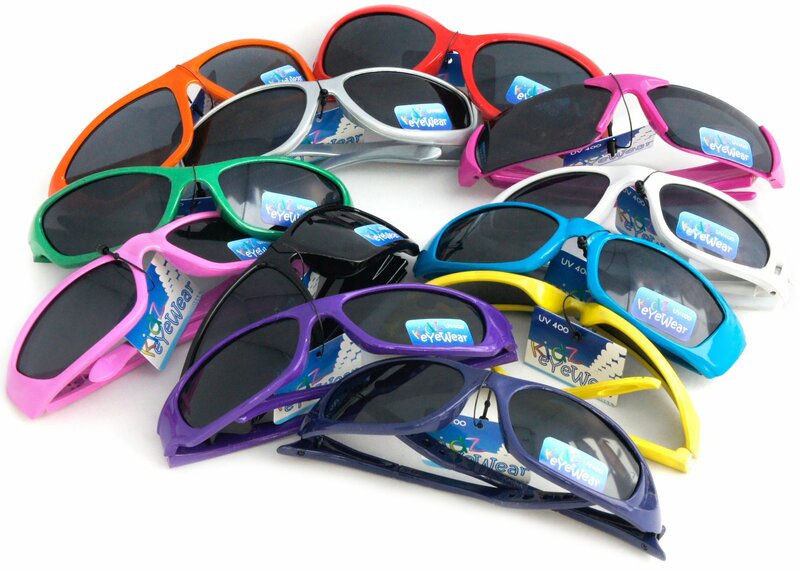 These CHILDREN's SUNGLASSES by Kidz Eyewear feature scratch and impact resistant lenses, have hangtags marked at $4.99 MSRP and come in assorted colors and styles. Colors and styles in assortment may vary based on availability. 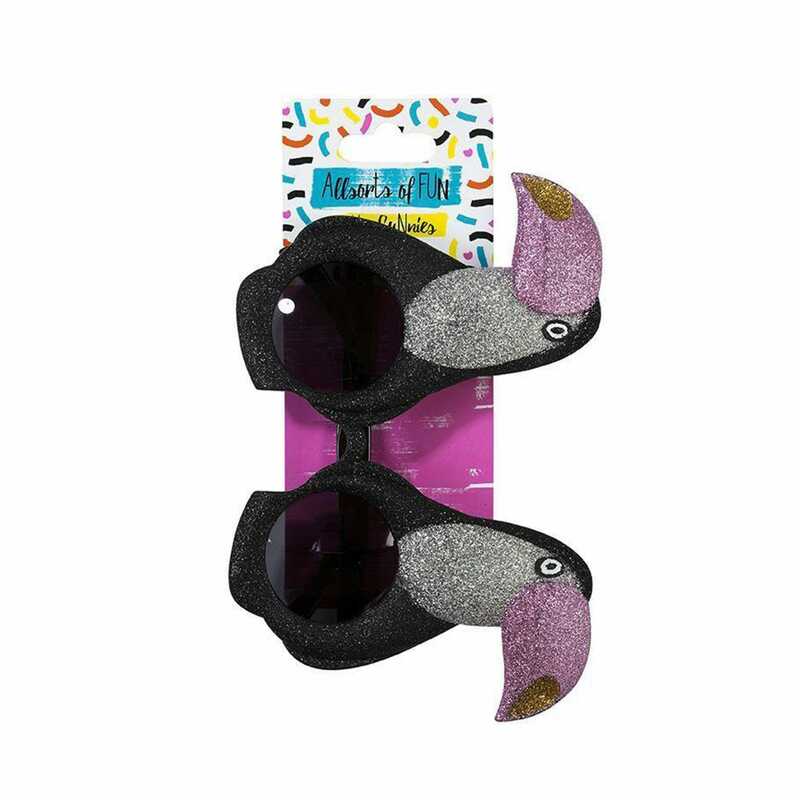 "Get your summer swag ready with this Toucan SUNGLASSES. You will sure stand out from the crowd by its pink, black, and silver glitter details. 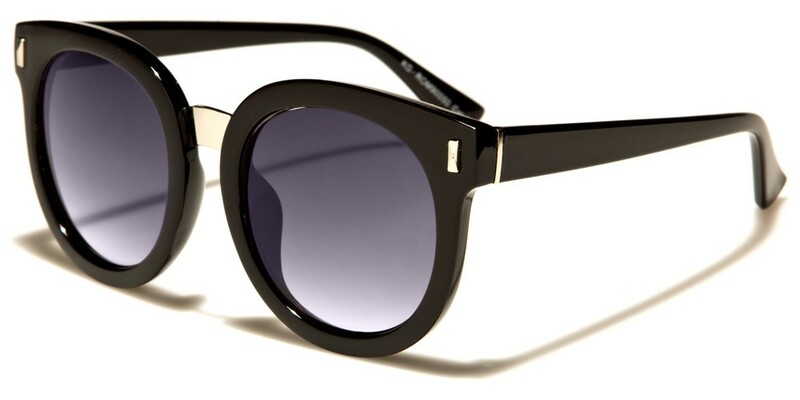 Great to wear at picnics or trendy festivals. 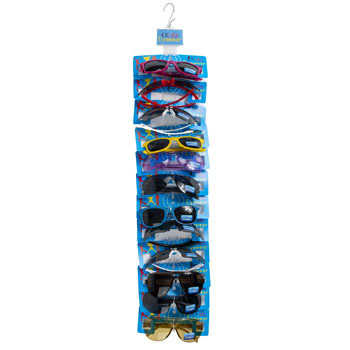 The SUNGLASSES comes packaged on a hanging panel. Great for CHILDREN of 14 years of age and above."